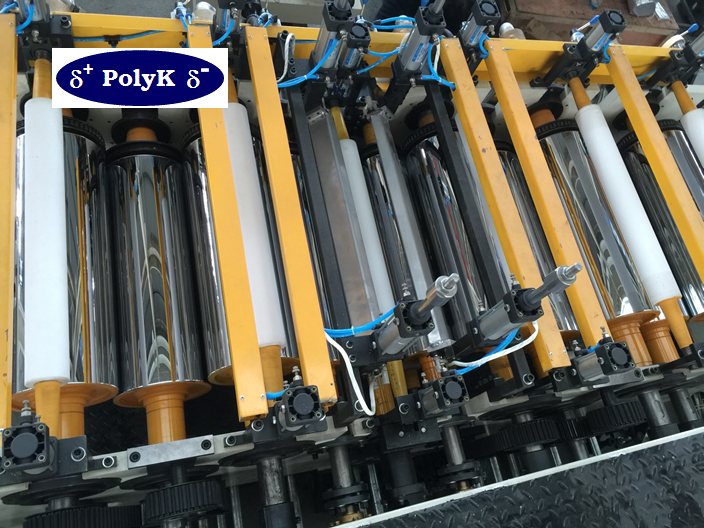 PolyK has set up a very unique machine direction orientation (MDO) film line to develop and manufacture high performance ultrathin high temperature polymer film. 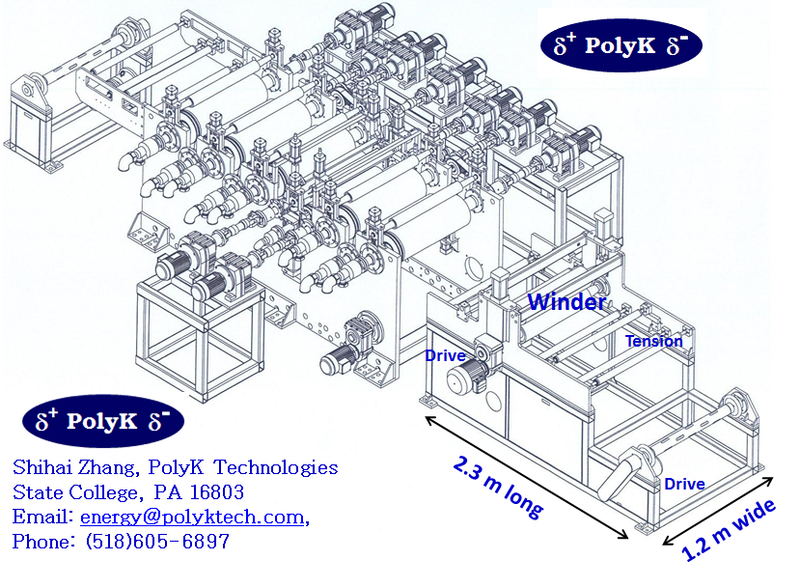 This machine is designed such that it can be used for both research and development and also be used for pilot scale production of expensive specialty film. The MDO film machine is installed inside a cleanroom with HEPA filters and ULPA filters. 2. Roller Temperature: oil heaters up to 250 deg C + two infrared IR heaters in the stretching zones. 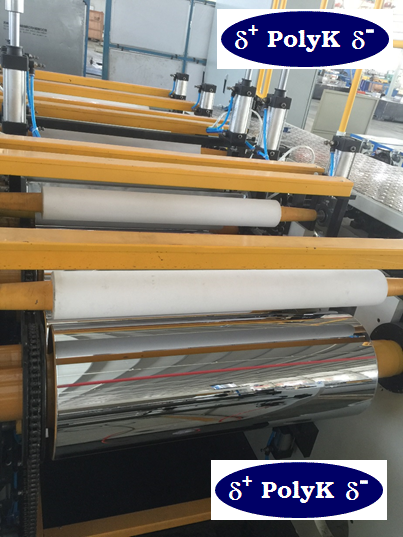 • Each roller temperature can be independently controlled. • Four independent driving motors, the last two rollers share one drive. • Each roller has a silicone rubber nip roller. • Two motors, last two rollers share one. • Tension control winding with maximal tension 5 kg or 10 kg (switchable), METTLER TOLEDO tension control system with a servo motor. • One pull roller with rubber nip roller, independently driven. 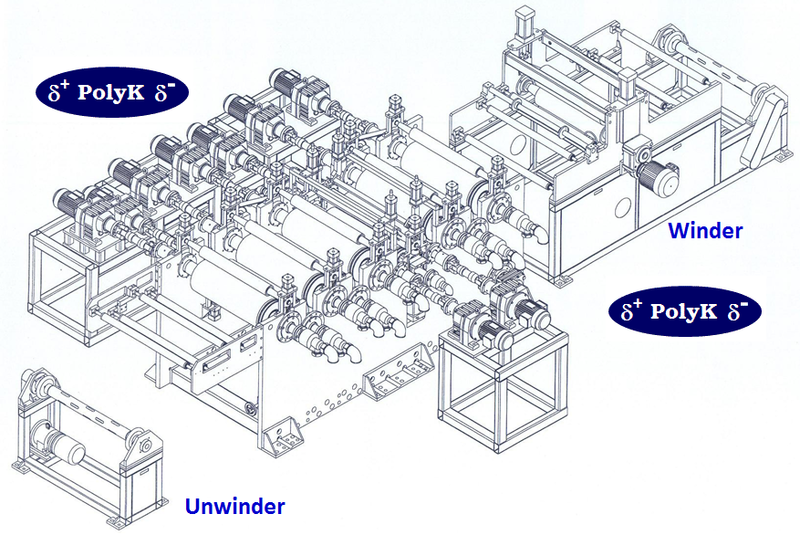 • Designed for thin film (3 um to 25 um). This unique MDO machine is available for rent on a daily base with attractive price. Please contact us for more information. Download the PDF brochure below for more information.